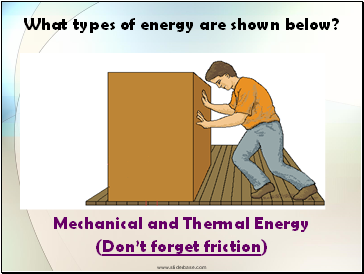 Energy due to a object’s motion (kinetic) or position (potential). 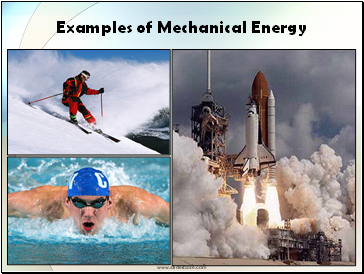 The bowling ball has mechanical energy. 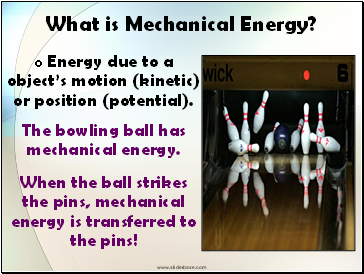 When the ball strikes the pins, mechanical energy is transferred to the pins! 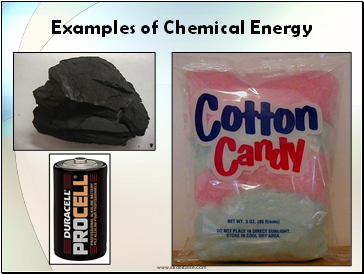 Energy that is available for release from chemical reactions. 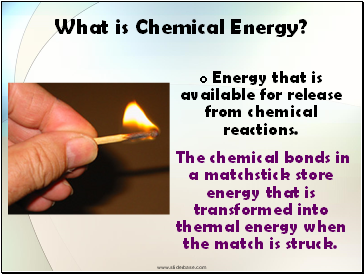 The chemical bonds in a matchstick store energy that is transformed into thermal energy when the match is struck. 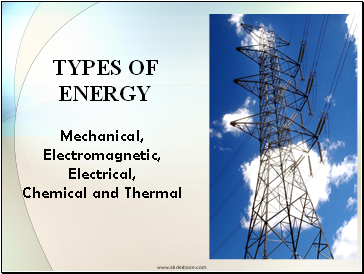 The heat energy of an object determines how active its atoms are. 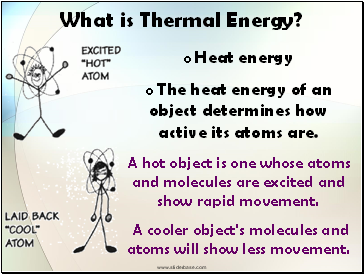 A hot object is one whose atoms and molecules are excited and show rapid movement. A cooler object's molecules and atoms will show less movement. 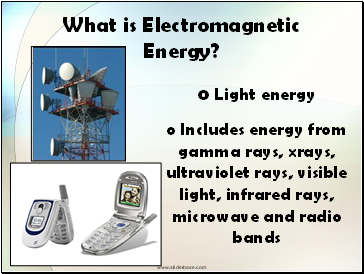 What type of energy cooks food in a microwave oven? 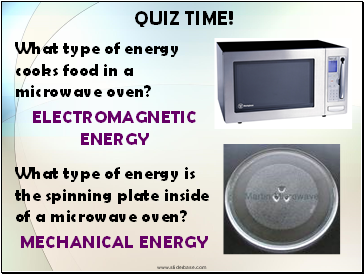 What type of energy is the spinning plate inside of a microwave oven? 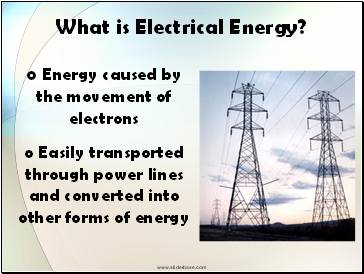 Electrical energy is transported to your house through power lines. 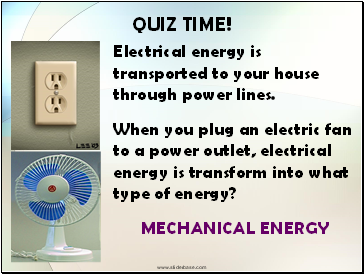 When you plug an electric fan to a power outlet, electrical energy is transform into what type of energy? 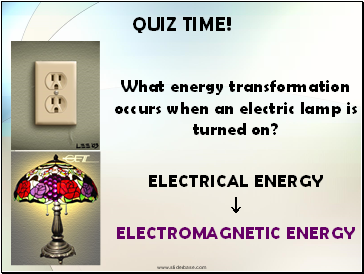 What energy transformation occurs when an electric lamp is turned on?